Kansas City, MO, February 27, 2017	(Newswire.com) - ​​Custom Truck and Equipment LLC (“CTE”) announced today that it has agreed to a three-year supply agreement with Richmond Conveyors to be the sole-distributor of its fiberglass shingle conveyor. The conveyor will be manufactured by Load King LLC, a wholly owned subsidiary of CTE, and will be a part of the suite of products Load King has to offer. “The Load King Roofing Conveyor is just the latest in new product development Load King has completed in the last 12 months,” says Ben Link, EVP of Operations. “The new Load King Roofing Conveyor ranges from 31’ to 43’ in length and will come with a number of new features to complete a wider variety of applications,” says John Ross, Product Manager. The Load King Roofing Conveyor will be sold, rented and serviced across all 26 of CTE’s locations throughout North America. “We believe we have created a superior product with Load King, and with CTE’s distribution and service network, we will be able to provide a solution to our customers unlike any other in the marketplace,” says Mike Richmond, Co-Founder of Richmond Conveyors. Co-Founder Mike Murray says, “the new relationship with Custom Truck and Equipment and Load King is an exciting opportunity to not only provide a superior shingle conveyor, but a quality, one-stop shopping experience for our customers.” The Load King Roofing Conveyor will be on display at this year’s International Roofing Expo in Las Vegas, Nevada, and at a number of upcoming “road shows” planned for April and May, set to be hosted throughout several CTE facilities nationwide. Each show will provide customers a “full-access” opportunity to review the roofing conveyor, as well as other products. Load King LLC, an American vocational truck and trailer manufacturer and industry icon, celebrated its 60th year of providing first-class, performance-driven vocational trucks and trailers to the heavy equipment industries. 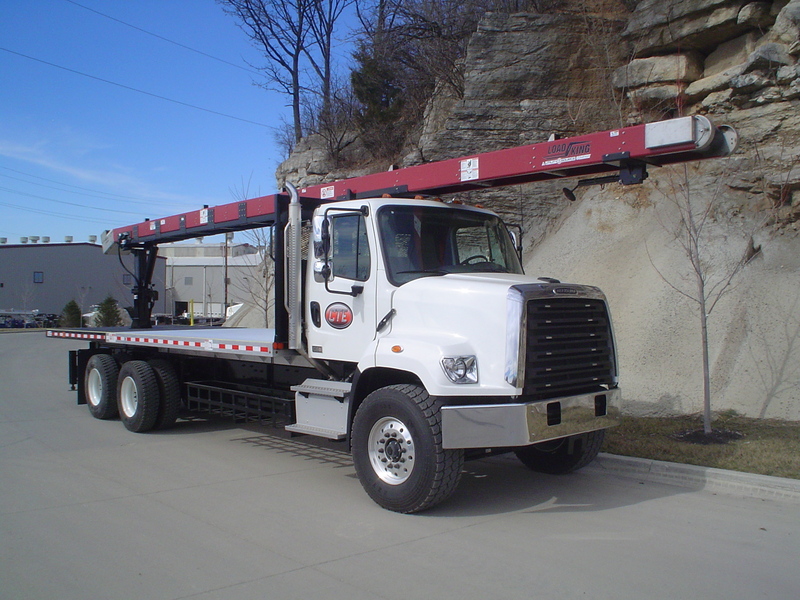 Based in Elk Point, South Dakota, Load King offers a variety of products to include roofing conveyors, detachable gooseneck lowboys, folding gooseneck lowboys, bottom dump trailers and end dump trailers. To see Load King’s full product offering, please click the link: http://www.loadkingtrailers.com/products.aspx. Load King has experienced five consecutive decades of steady expansion and continued leadership within the many sectors it serves, and has maintained its position at the forefront of the vocational truck and trailer industry. In 1992 Mike and Ken Richmond opened Richmond Steel in Pigeon, Michigan as a general fabrication shop specializing in agricultural equipment. Then in 1995, the Richmond Brothers purchased Alton Company combining operations, manufacturing crew cab pickups, mid and heavy duty trucks (mainly for railroad and emergency response) and stretch SUV limousines. In 2002, after selling Richmond Steel and Alton Company, the Richmond's opened Richmond Brothers Conveyor and Richmond Farms. Today they manufacture shingle conveyors, parts and accessories, and agricultural equipment and parts.